When we arrived in Singapore in 1961, one of the first things my father bought was a Sony Transistor Radio. It was a very modern-looking device, not like the big brown wireless sets that we were used to back home. The picture, I think, shows the exact model. 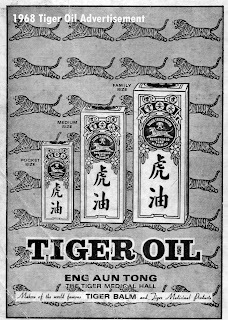 For fast relief of colds aches and pains. It is used throughout the world. You must get some right away. Tiger Oil makes your day a happy day. As well as the adverts there was constant political propaganda and patriotic songs. 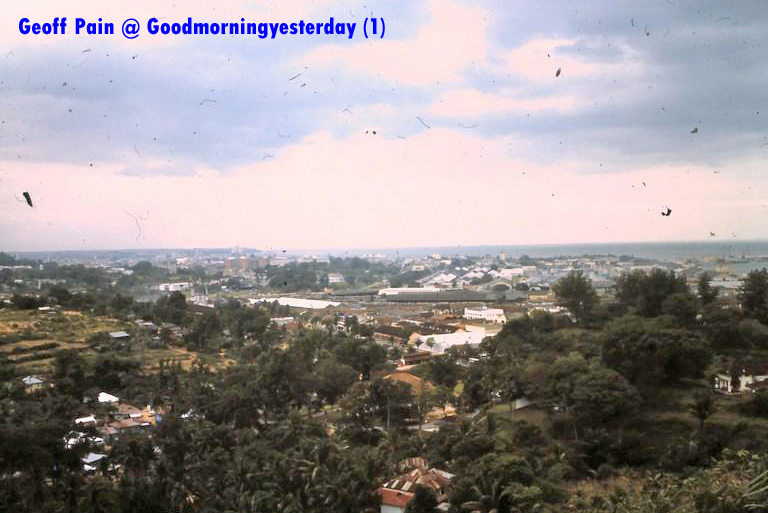 At the time that Malaysia was being formed, we were treated to Malaysia Forever every hour or so. 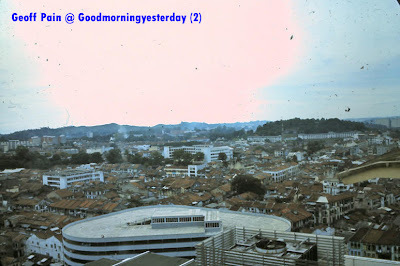 That soon changed when Singapore left Malaysia. My favourite radio programs were a comedy whose name I can’t remember, and an American real-life detective series called The Mistakes They Made. Also available – but only just – was the BBC World Service. It was very faint, and would be accompanied by eerie electronic whistles and other sci-fi sounds, and it would fade in and out, but we liked to tune in for cricket matches and the English Football results. It was quite frustrating, as just as our team’s result came on the radio would fade out or whistle, so we would only hear half the score. Nevertheless, it was a Saturday night ritual, long after lights out, to listen to the results. Given the time difference, it would be midnight when the results were read out. One evening, in February 1963, we were driving home from somewhere. An enormous crowd of people was gathered outside a shop window. 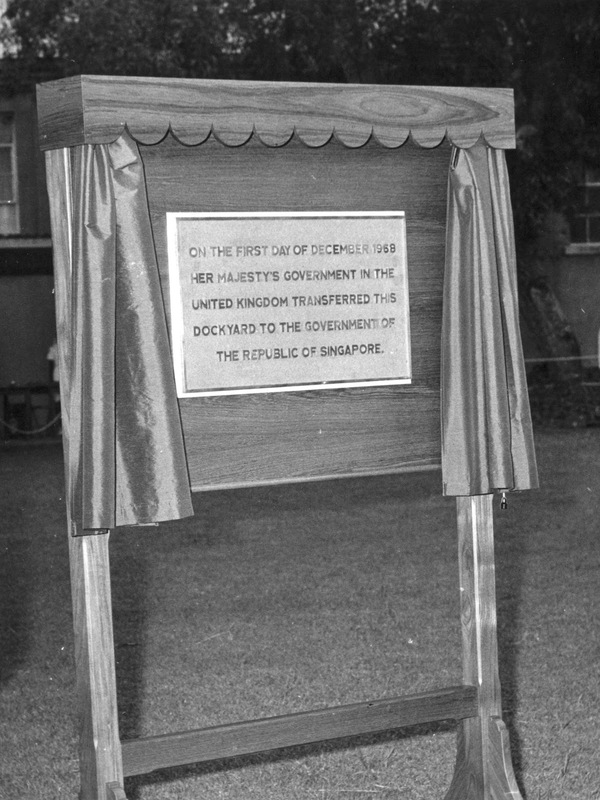 They were watching Singapore’s first television broadcast. 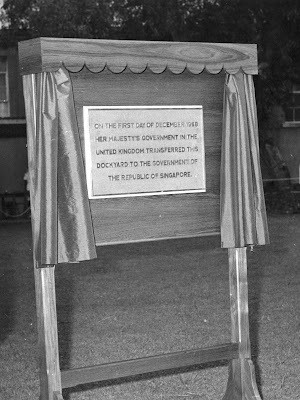 This was the first time Singaporeans had seen a television, and it must have been a magical experience for them. Of course, it was in black and white, but nobody minded. Everyone wanted a TV, although they were very expensive in the early days, and for the first few years we did our viewing at the Island Club, at friends’ houses, or in restaurants (where a TV was a big added attraction). 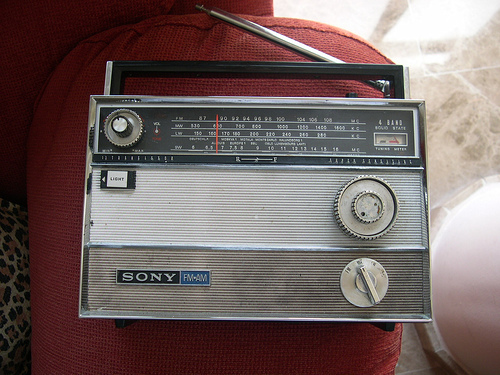 For most of the 1960s, as I remember, there was only one channel, and it catered for at least four language groups – Malay, Chinese, Tamil and English. I know that there was more than one Chinese language in use, but I don’t know if TV Singapura catered for them all. Such was the addiction of TV that sometimes we would watch the programmes even when they were in a language that we didn’t understand. Indian and Chinese cinema was very dramatic, and sometimes you could follow the story without knowing the language. Of course, my favourite programmes were the American comedies (like I Love Lucy), adventure programmes and cartoons. Eventually we bought a TV and had the pleasure of constantly trying to get a decent picture by adjusting the angle of the ariel, and playing with the vertical hold because the picture kept going round and round. 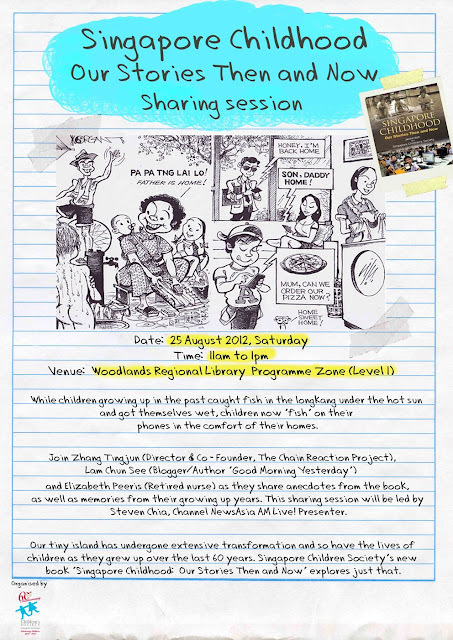 Recently, the Singapore Children’s Society published a book titled, Singapore Childhood: Our Stories Then and Now. 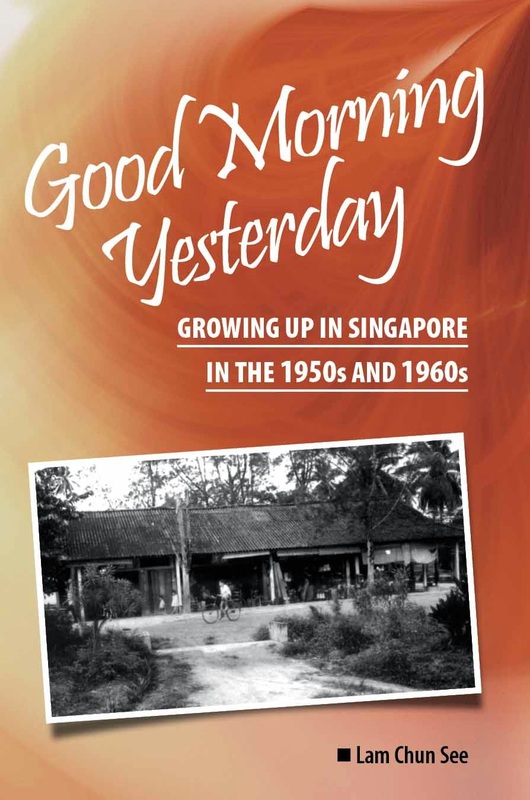 This book traces the political, economic and social changes that have taken place over the past six decades and how they have transformed the childhood of children in Singapore. It comes in both an English and a Chinese version. The author of the English version is Ms Jaime Koh. I attended the launch of the book on 11 August at the National Library Building in Victoria Street. Together with two other panellists, Mrs Elizabeth Peeris, a retired nurse, and Ms Zhang Tingjun, Director & Co-Founder of The Chain Reaction Project, we will be sharing sections of the book and relating them to our own experience of our childhood. The moderator is Channel News Asia’s Mr Steven Chia. Do hope that you can attend this event which is open to the public. In the afternoon, there will be a similar session in Mandarin for the Chinese version of this book. 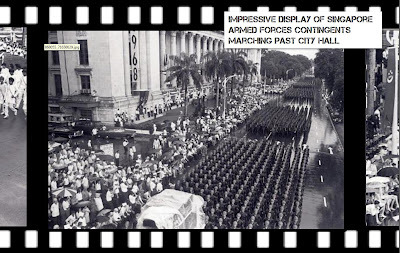 Since 1966 I have been following the “live telecast” of National Day Parades (NDPs) on August 9 in the clean comfort of my living room. It was no different in 1968 and as usual my late father would be in the row of VIP Guests closest to City Hall. For most NDPs, we would have good weather with a strong breeze and sunny skies. 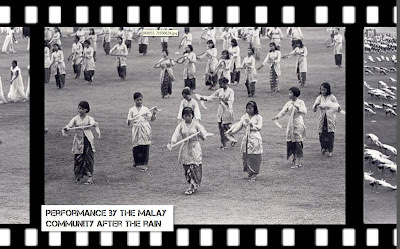 However NDP 1968 was an exception because it was marred by bad weather; the heaviest downpour in what would have been otherwise a happy third anniversary following separation from Malaysia. Spectators, guests and participants were drenched in the rain. My father came home with his formal suite drenched and his Leica camera rendered useless. 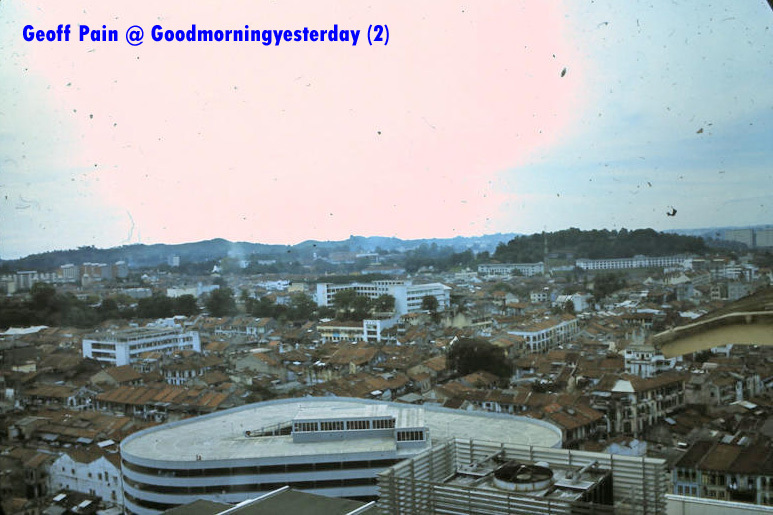 The argument that the rain during NDP 1968 united Singapore as one appears to be over-blown in my opinion. If you were to believe in that, then you miss out on other more compelling reasons. When the rain continued to drag on, the Parade could have been delayed into the late evening or worse called off and re-scheduled to another date. Imagine the disarray when participants run to seek for shelter from the rain. If that had happened, it would have been a loss of national pride, especially when we left Malaysia under acrimonious circumstances. For those older, you would recall our then military capabilities and the shocking British announcement in January 1968 of an early military withdrawal from Singapore, how could one have the confidence that this motley crowd of people would be able to defend Singapore? On parade, our military contingents were drawn from the two regular military Singapore Infantry Regiment (SIR) battalions, the voluntary People’s Defence Force (PDF) and the newly trained National Service (NS) conscripts. Our citizens-army was not very well equipped – officers carried pistols and the others carried Enfield 7.62mm SLRs or carried no weapons. When it came to military hardware we had Land Rover jeeps pulling WWII 25 pounders and those “handed-me-down from the British” Bedford trucks. Things really looked bad but when they do, Singapore always looked on the bright side of life. We showed the world we had great resilience against hardships and surprises; the rain was the least of our setbacks. It was the national will to survive. The Parade did not stop. Was our loyalty only confined to NDP 1968? 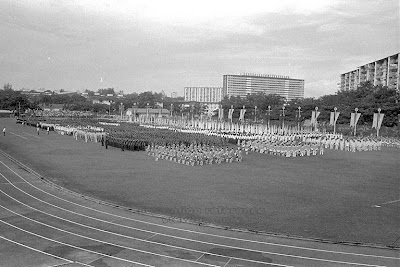 For us still in school, we had our own special ways to prove our loyalty to this country. 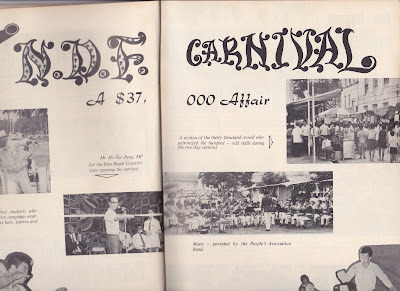 Our school organized the National Defense Fund (NDF) Carnival in April 1968. Coming together as one school and one nation, it was our way for us to show our patriotism. Being students meant the focus should have been on books because this was the one facet of a complete education, besides school extra-curricular activities. Then we learnt something new called NS which was introduced in mid-1967. Whilst many of my seniors in school were drafted into the Special Constabulary or the Vigilante Corp after lessons were over, we answered the national call to raise funds to finance weapons purchase and training for our new citizen-army. Fund raising projects for charitable and social organizations by our school usually yielded a few thousand dollars but never of a magnitude for the NDF. It was the largest donation to the NDF by any Singapore school, even matching that of the larger commercial firms and labour unions. The NDF was the government’s S$10 million target set-up to raise civic and national consciousness among the people, especially the youths when it came to national conscription - a less than popular subject then. The public, schools, guilds, companies, cultural societies and labour unions were the main contributors. There were examples of humble professions like the trishaw riders and dance hostess who donated their earnings to the NDF. NDF made loyal Singaporeans feel the need to pull society together to be one people with a common purpose. Coming to this year’s NDP 2012, it is so much better. The spirit of national patriotism was not lost on that white or blue dress code, but in red and white, like the colours of our national flag. That’s why I call this country home. Like Peter, I too have been invited by Mica – the Ministry of Information, Communications and the Arts – to blog about this special day in our history. But unfortunately, I don’t recall much about this event; and hence, I think I will just ride piggy-back on Peter’s story. 1968, by the way was a significant year for me. I was sixteen and in Secondary 4, which meant of course that I would be sitting for that all-important Senior Cambridge Exam (O-levels to the younger generation). It was also the year they announced the setting up of Singapore’s first junior college, the National Junior College, and I had decided to apply for admission to the pioneer batch in 1969. 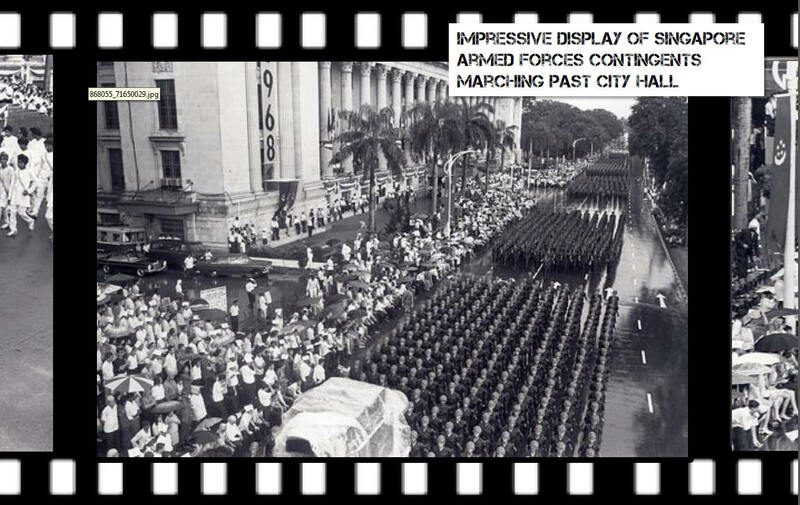 Coming back to the parade, of course I remember watching the live telecast of NDP 1968 on television. I believe practically every Singaporean who had access to a TV set watched the NDP in those days, when television was still a novelty to newly-independent Singapore, and when very few programmes were ‘live’. 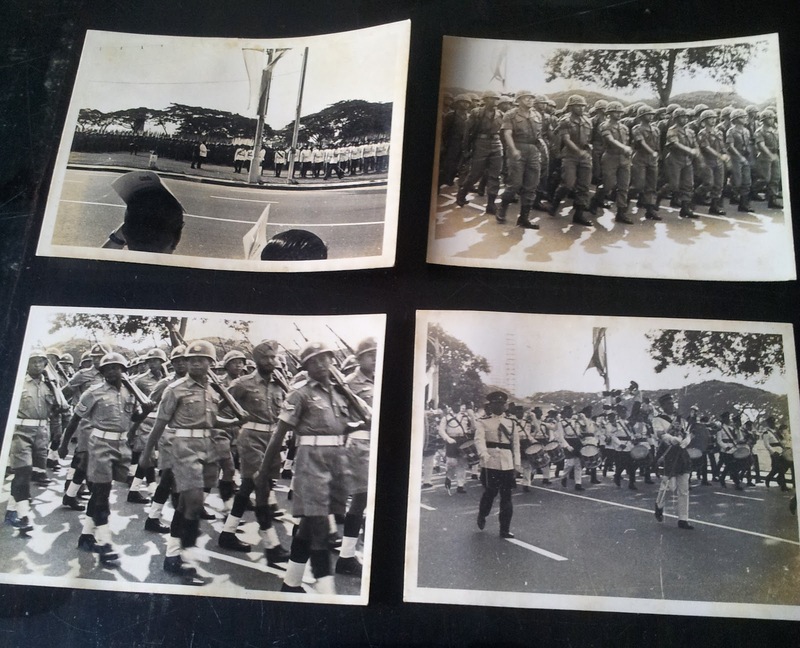 I was quite fascinated by the military bands, the soldiers doing the route march and the display of military hardware. I guess it was because I knew that, before long, I would be drafted into the army for my National Service. 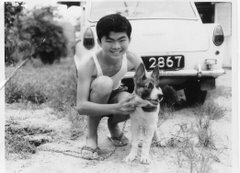 Yes, in 1968, compulsory national service had just been introduced in Singapore, and the most unpopular man in Singapore – at least as far as the male teenagers were concerned - was Dr Goh Keng Swee, our Minister for Defence. 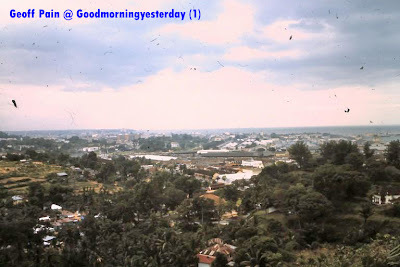 I also remember the rains and the subsequent news that many school children fell sick and did not go to school. Until recently, I have watched every single NDP on TV, except for the three occasions when I participated in the parade. 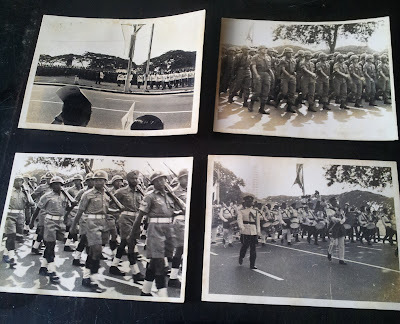 The first time was probably in 1967 when I took part in the mass drill as part of the contingent from ACS (Anglo Chinese School) – I think it was together with other schools. Details are rather hazy, I am afraid. I remember going for the practice sessions in Jalan Besar Stadium. The second time was when I was part of the University of Singapore’s contingent. The third time was when I was doing my national service. I did not actually participate in the parade, but was part of the army team helping out in traffic control. At that time they had adopted a decentralized format, and I was assigned to Mei Ling Street in Queenstown. 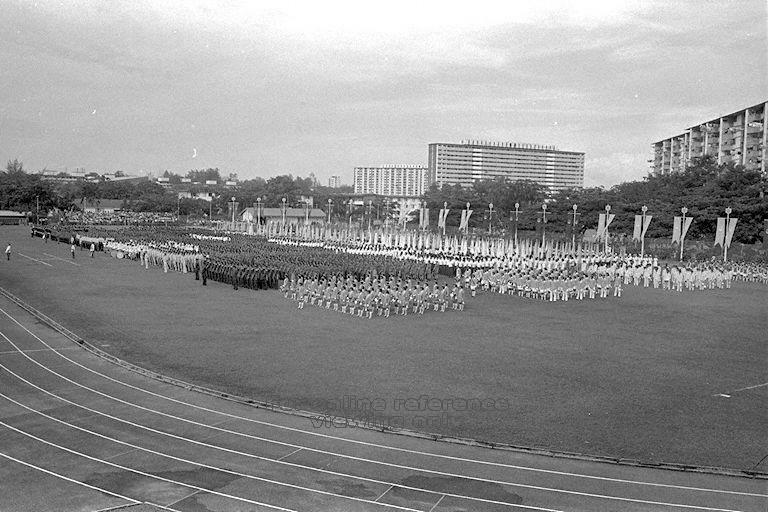 (Photo below, from the National Archives' Picas collection, shows the NDP at Queenstown Sports Complex). I am shy to admit that nowadays I seem to have lost interest in the NDP. Not sure why. Must be age. I find today’s format too 'showy' .... too 'Hollywood', and so I seldom sit through the entire show. Anyway, it is apparent that the young people enjoy it, and that's what matters most; don't you agree? 3) Exclusive pictures from the actual 1968 NDP. They have also produced a four-part drama series which will be shown every Saturday at 10.30 pm on Channel 8 (4-25 Aug) as well as a documentary which will air on Channel 8 and Channel News Asia on the 2nd and 28th of September respectively. Recently I visited some friends in Muar. Next to our hotel was a street that came alive on Sunday morning with lots of traditional food that brought back memories of the good old days in Singapore. First there is the you-char-kway or you-tiao (油条). Watching the hawker prepare the you-char-kway on the spot was such a delight. It reminded me of a stall that was not far from my house in my kampong. As a kid, I liked to watch the hawker fry the yck. It was fascinating to see the yck expand rapidly in the boiling oil. In the photo below, the hawker used a pair of tongs to turn the yck; but traditionally, the correct tool should be a long pair of chopsticks. And then there is the putu mayam. Nowadays in Singapore, the putu mayam that I see being sold in the coffee shops are all factory-produced. They come packed neatly in a plastic bag. When I see the hawker remove the slices of putu mayam from the plastic packet, I lose my appetite. The packet resembled a packet of serviettes! Here in Muar, the hawker sold his putu mayam from a huge metallic container just like in our kampong days. Back then, the vendor was an Indian man who came to our village to peddle his putu mayam on a bicycle just like in this photo. Furthermore, the gula Melaka was also home-made and tasted much better than the mass produced type in modern-day Singapore. Besides these, there were also vendors selling nonya kuehs as well as fried chye tau kway. The sight of the trays of eggs reminded me of an interesting practice in those days. To save on the cost, we usually brought our own egg and the hawker would be happy to add it in for us. To round of the experience, we were served thick black coffee in traditional china cups and saucers. Even the Hainanese spoken by the coffee lady was reminiscent of our kampong days. Did you catch the debut of the tv programme, Mementos of Singapore, on the Okto Channel last week? In this programme, they mentioned several items from our childhood days, such as the Labour soap bar, wooden washing boards, paper bags and the Milo beverage. This last segment of the show seemed to give the impression that Milo was the only chocolate beverage that has been around since our childhood days. This simply is not true. During our childhood days in the 1950s and 60s, there were two equally popular brands of chocolate beverages, Ovaltine and Milo. Competition between these two very similar beverages was fierce; just like that between Pepsi Cola and Coca Cola. It was only during the last couple of decades that Milo gained dominance in Singapore. When my children were growing up in the 1990s, we used to buy both brands. But gradually, my children developed a preference for Milo. 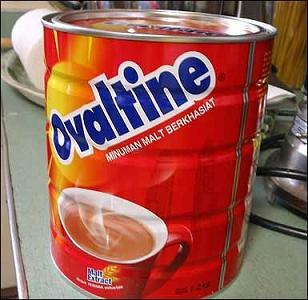 I asked them why, and they said they liked its creamier taste; which was the very same reason why I preferred Ovaltine. 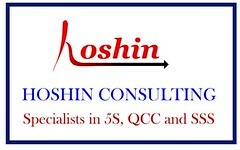 At that time, I frequently drove to peninsular Malaysia for my consultancy work. Often, I would do some shopping in the supermarkets before I returned, because household items were cheaper there. Invariably, my purchases would include a family-size tin of Milo. For a comprehensive write-up of the history of Ovaltine and Milo, do check out my blogger friend, Laokokok’s well-researched article here. Recently I received a complimentary copy of the book, A Ride to Remember, The Story of Mount Faber and Singapore Cable Car from its publishers. The book is about the history of Mount Faber and the Cable Car. It was in appreciation for the permission to use my photo (below). I take this opportunity to share few other old family photos taken at Mt Faber with you. 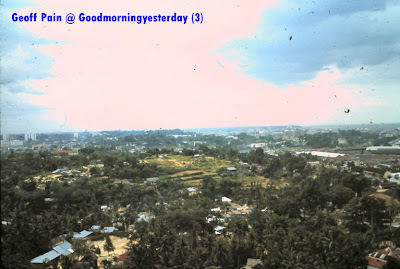 Besides my personal collection, I have also received a few mid-1960’s photos from Geoffrey Pain. He told me that they were taken from Mt Faber. But they don’t look the view from Mt Faber to me. What do you think? I just got off the phone with an old friend who is suffering from dementia – so his daughter told me. He insisted that I returned him some training material that he had lent me 22 years ago. I just couldn’t get through to him, and am feeling both sad and frustrated. I am suddenly reminded of this kid in my kampong when I was around 5 or 6 years old. “Lor see, ji liap see. Lor see, ji liap see”. Lor see means a screw or bolt. Ji liap mean, a piece of. I don’t know what he meant by, “Ji liap see”. He must have heard it from some other kid. I felt very indignant; saying to myself; “Hey, I am the normal kid, you are not. I should be teasing you”. But even though I was very young then, I could reason that his behaviour was probably a kind of defense mechanism. To avoid being teased, I’d better go on the attack first. And so I did not retaliate and just bore with his taunts; and avoided him. As I grew older, and understood such things, I was really glad that I did not counter-attack whenever this kid poked fun of me.